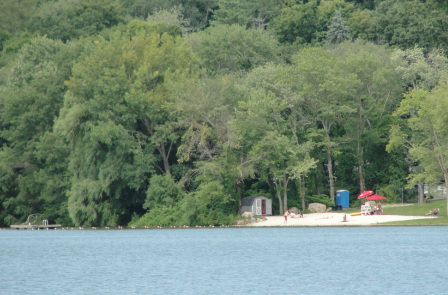 Putnam Lake has two beaches with more than 20,000 square feet of beach area for all Park District residents to use. Warren beach is situated on the west side of the lake on Waterford Road near the Castle and Jackson Beach is along the east side of the lake across from Jackson Road. There are also five Park Areas (formerly beaches from years past) that are open for recreational use and activities. These are: Johnson Beach, Hudson Beach, Fairfield Beach, Interlaken Beach and Lacona Beach. These areas along with boat storage locations can be seen on our Park District Map located here.